This diamond engagement ring gets its unique style by combining vintage inspiration, an artistic floral design and a halo frame of diamond dazzle. 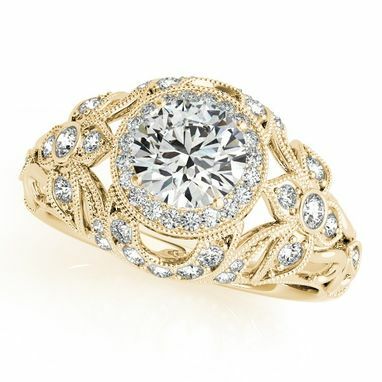 This 14k yellow gold antique style, flower designed, halo engagement ring sparkles with around 1.20 carats of diamonds. 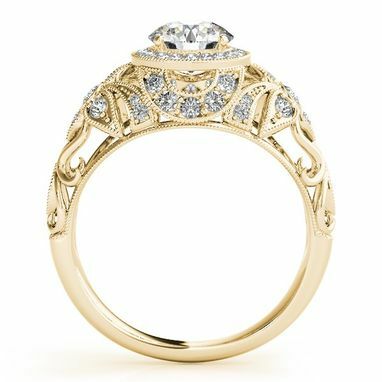 Ask for her hand with this stunning Edwardian diamond engagement ring and watch the sparks fly.